Source: Ball Screws & Actuators Co., Inc.
Ball Screws & Actuators Co., Inc., 3616 Snell Ave., San Jose, CA 95136. Tel: 408-629-1132; Fax: 408-629-2620. 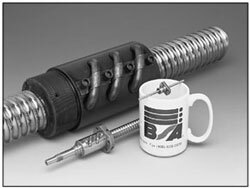 Ball Screws & Actuators Co., Inc.